For security reasons, it is not advisable to use Internet Explorer for secured browsing. Use it only for testing web pages developed by you. Now the below screen will guide you what versions need to be installed, where the launchers should go. 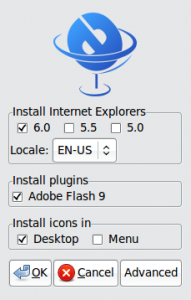 If can enable installation of IE7, which is experimental in the advanced options. Now click OK to continue installing. 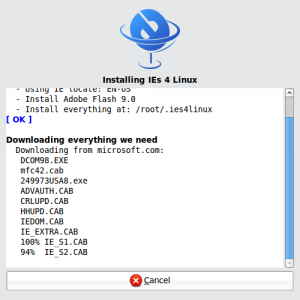 The installation starts downloading necessary files from microsoft website. After installing, the short cut appears on the desktop or whatever options you have choosed earlier. Now its ready to use IE and test your web pages.